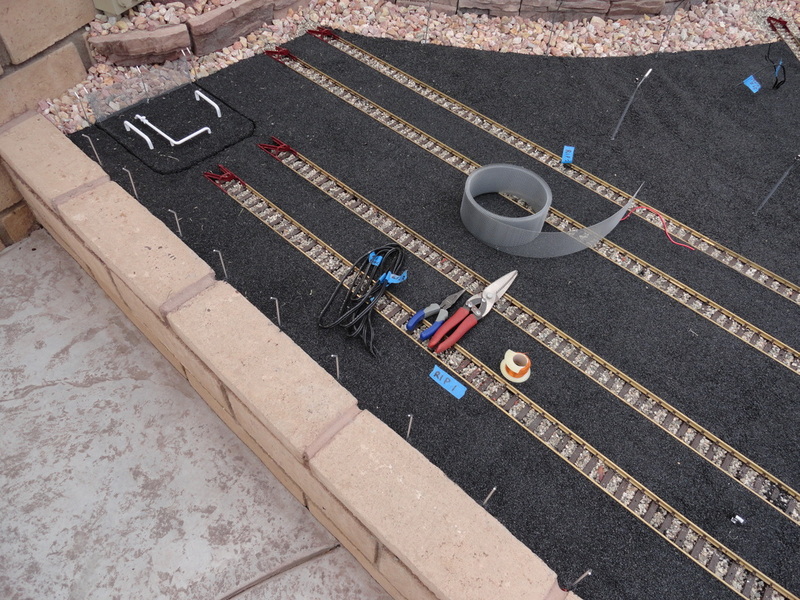 Have you ever wanted to fence something in on your layout but didn't know how to go about it? 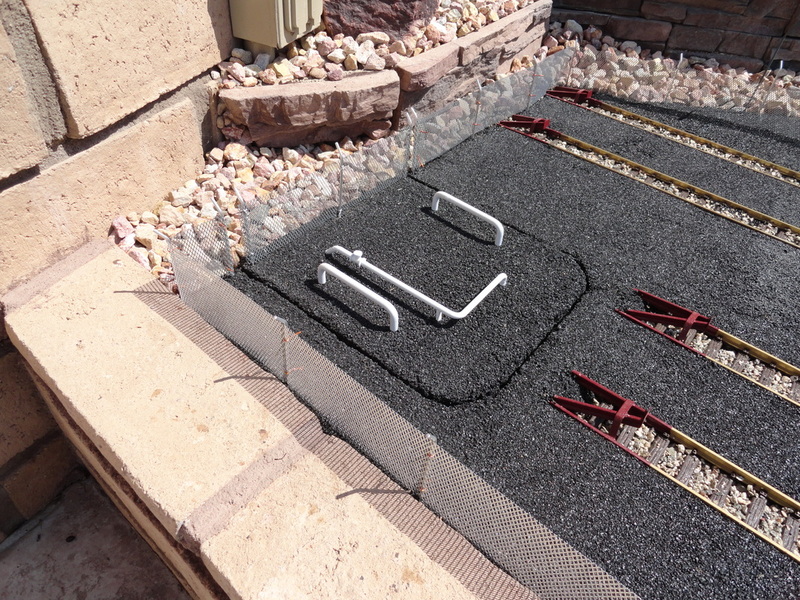 Here is a simple and cost effective way to add fence to your G scale layout. 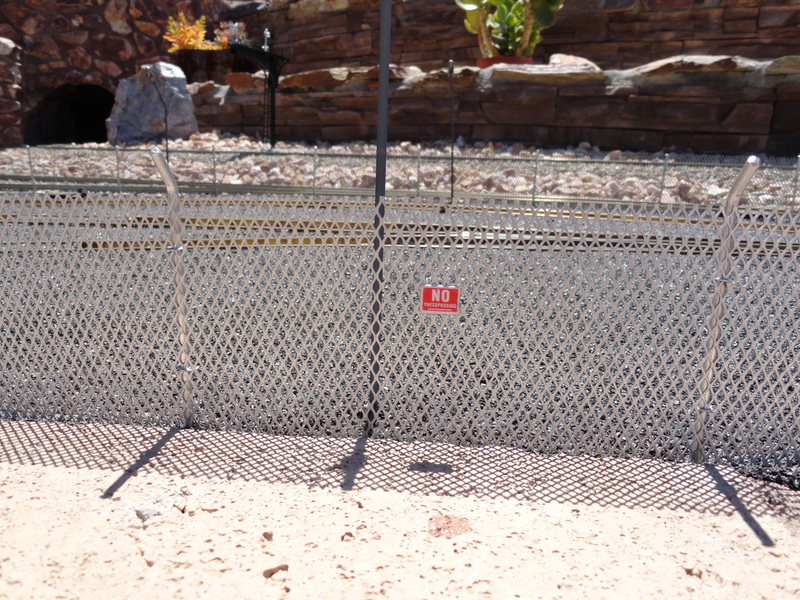 The first step for installing a chain link fence is to decide where the fence should go, and how tall the fence should be. I cut the fence material to three inches, which is about your standard height. If you are fencing around a more secure area, a taller fence might serve you well. Now, decide how many gates you want in the fence and whether they will appear to swing open or roll open. Once the design work is done, you are ready to build. When cutting the 1/8" aluminum rods, take into consideration how far you want the rod into the ground and whether or not you will have the barb wire bend in your post. If you do want the look of barbed wire, run the cut poles through a wire bender. A jig will help to achieve symmetry in the poles. Next, cut the fence material down to the finished height. Be careful when cutting this - its very easy to cut yourself! Place the first post into a pre-drilled hole in the foundation. 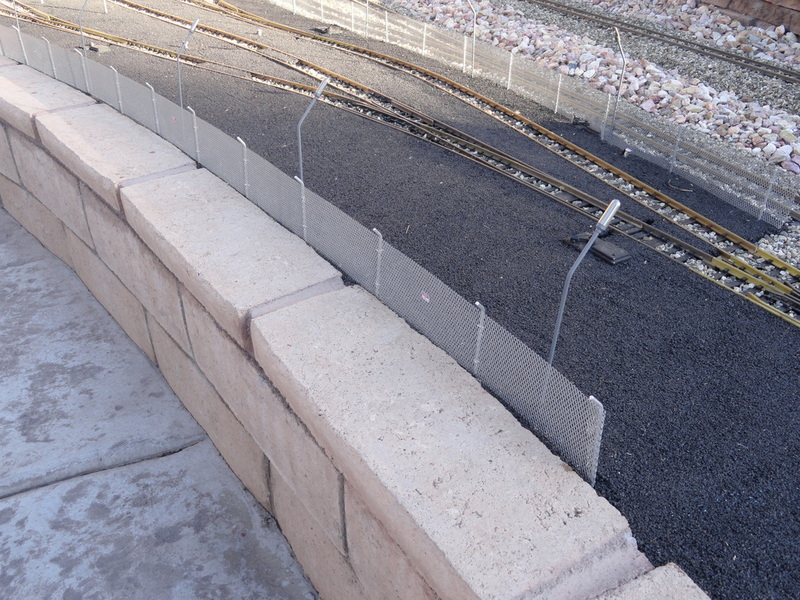 If the fence will be on concrete, a hammer drill and masonry bit will make the job a breeze. If the fence is on asphalt, a regular drill will be fine. Wrap the end of the fence around the pole and tie wrap the fence using the copper wire. Be sure to lay the fence down opposite to the direction of curl in the fence roll to get a straight looking final product. 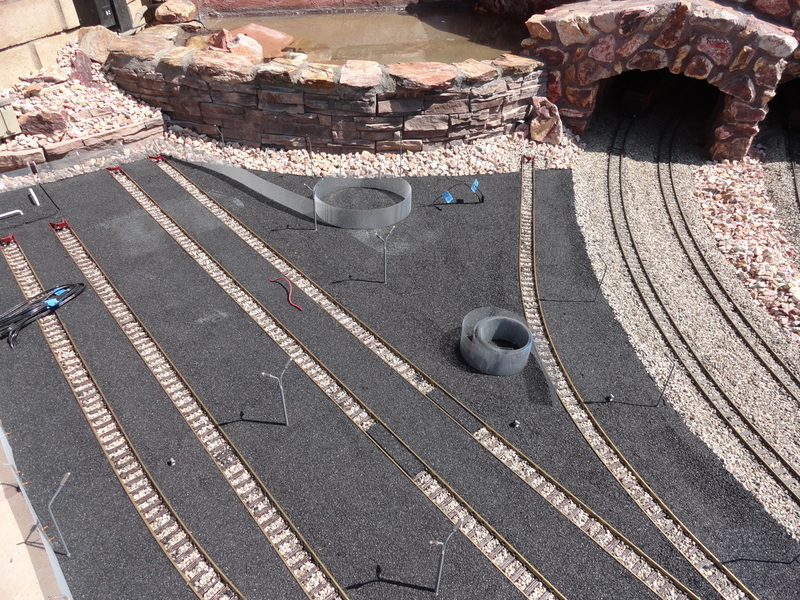 Continue placing poles and wire tying until you get to the last post. Again, wrap the fence around the final post and tie wrap it to the pole. Once you are happy with the fence, put a drop of glue on the tie wraps and into the holes to secure the fence. Cut off the excess copper wire and paint them silver to match the rest of the fence. For a rusted look, lightly spray the fence brown. 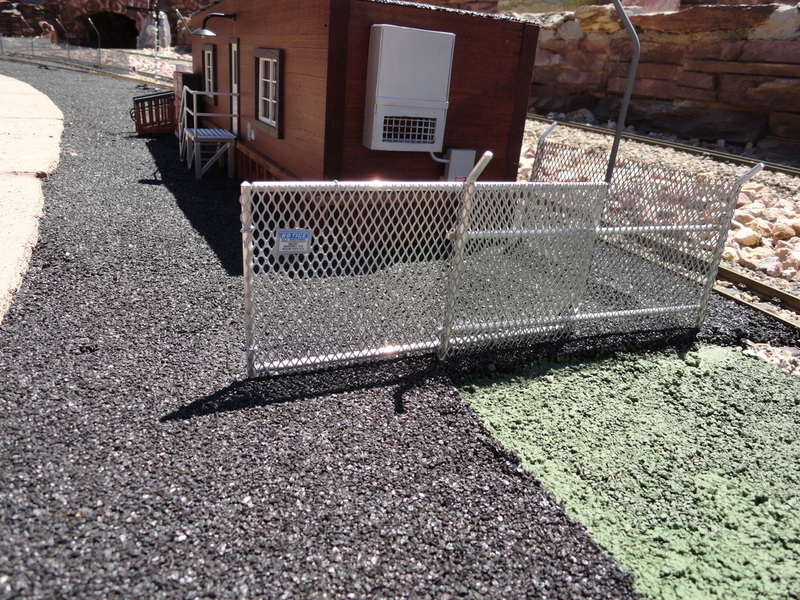 For gates, cut the aluminum rod to be in the shape of the desired fence and wire tie the fence to the poles. 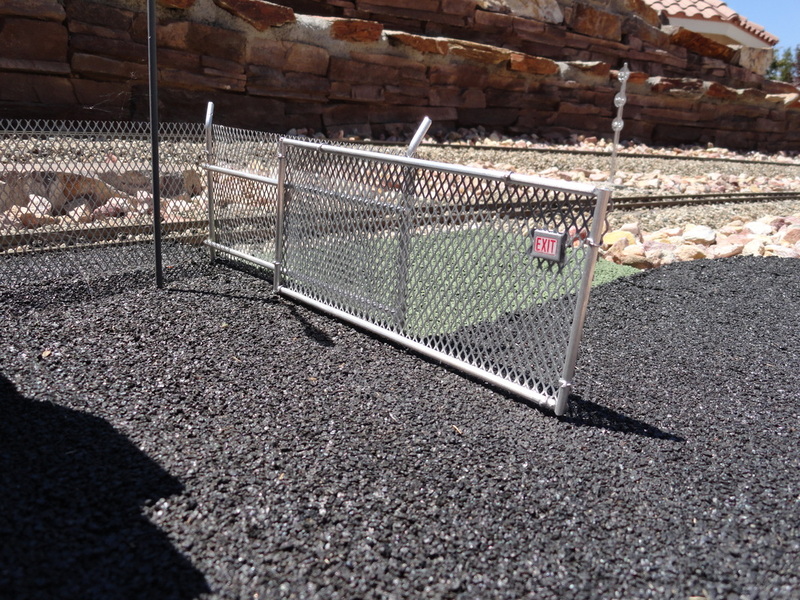 For the appearance of a roller gate, cut aluminum rods that will look like what the gate will roll along. That's it, your new fence is only a few steps away! Once you get the hang of it, it becomes a breeze - although a bit tedious!! Fence poles fit into place, ready for fence to be attached. Once the fence is in place and your happy, go back and glue the poles to the ground. Here, the fence is being attached to the poles.